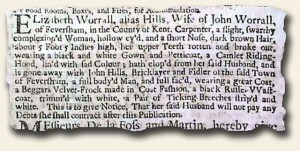 Today I found myself in London, England with the Post-Boy dated December 20, 1711. I also found that even with traveling back three hundred years, a portion of this paper would fit right into today’s newsstands. An article on the front page of this issue was the reporting “…to Bribe an honest member of the Church of England, to vote against the interest of that church, and his own conscience…”. The text of the “promise to pay” note is included in the article as well. 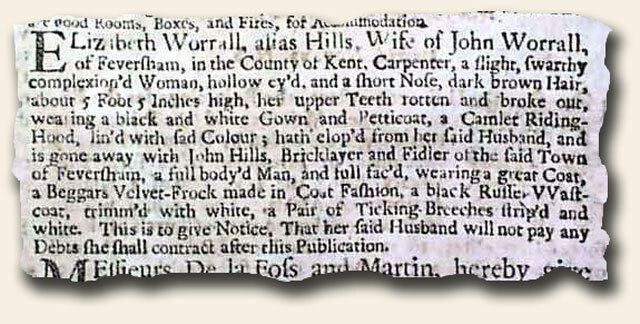 On the back page of this issue also contains a notice posted by a husband, stating that he would no longer be responsible for his wife’s debts. The description of his wife is very interesting!! Until next year, I wish you all a very Merry Christmas and a Happy New Year!